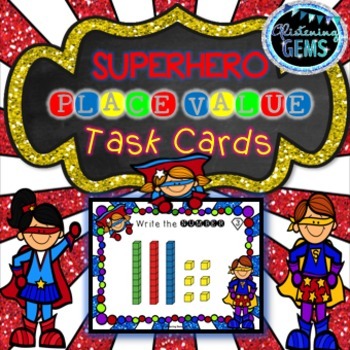 Place value activities 1st grade consists of 30 superhero themed task cards. These place value task cards for first grade are perfect for reviewing Base 10 blocks and place value. 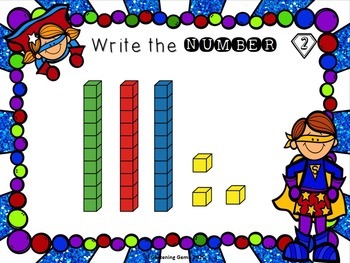 Each place value card contains Base 10 blocks with tens and ones up to one hundred and adorable superhero graphics with bright blue starburst background. 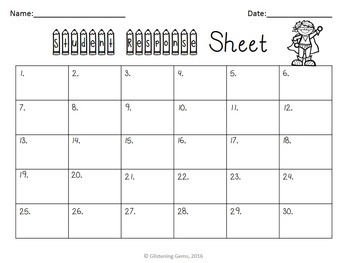 There is also a student response sheet included and answer sheet. These place value task cards would be great to use in: math centers, math stations, morning work or to play as a Scoot game with the whole class. Please see the preview for an overview of the place value task cards. Be the first to know about my new discounts, freebies and product launches. Look for the green star next to my store logo and click it to become a follower. You will now receive email updates about my store.